Two Staffordshire-based quarries, operated by Aggregate Industries, are encouraging visitors to stay on the designated footpaths, after noticing an increase in the number of birdwatchers climbing over safety barriers to get a better sight of nesting birds. 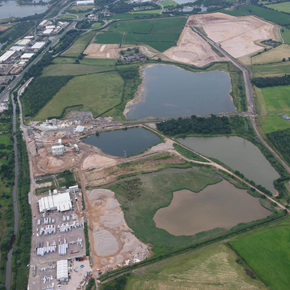 Both Uttoxeter Quarry and Newbold Quarry have become ecological havens, providing permanent and temporary habitats for birds and other wildlife. Birdwatchers are encouraged to observe the birds, and share any logs of species found on site. However, as both quarries are operational, they can be dangerous; with ongoing excavations, the land may become unstable without warning. Although the quarries have signposted warnings and boundary fences in place to stop the public wandering into operational areas, security guards have recently noticed visitors ignoring signage and climbing over safety fences, in pursuit of nesting birds. The quarries are urging visitors to be responsible and to respect the rules, which have been put in place for their safety.